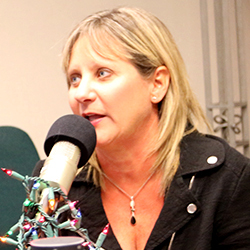 Angie Isakson, retirement plan expert, joins Dave on unsuitable on Rea Radio to pinpoint the areas where you should put your money in 2019. We’re a few weeks away from the start of a whole new year and you know what that means – it’s time to make our New Year’s Resolutions! From an economic standpoint, 2018 was good to quite a few of us. But as we look to 2019, we have an excellent opportunity to secure even greater financial wellness. Angie Isakson, QKA, a senior manager on Rea’s retirement plan administration team, is here to talk about some great savings strategies that can empower you to save even more for retirement. The ultimate goal for retirement plans is to save more for retirement, obviously, but the current hardship withdrawal rules are limiting that ability. At the moment, if you apply for a hardship, you have to exhaust any loan availability – but starting in 2019, they’re doing away with that. They’re also doing away with the rule that doesn’t allow someone to defer anything from their paycheck for six months after applying for a hardship withdrawal, meaning you can continue to save for retirement after applying. More changes to hardship withdrawal rules. The IRS private letter ruling regarding student loan repayments. General retirement savings strategies to remember in 2019. 401(k) and Retirement Plan Limits for Tax Year 2019 – Offering retirement and health savings plans is a smart choice for a business to attract and retain talent. This year is no exception, and several limits are planned have increased. To Roth Or Not To Roth – Are you wondering whether it makes more sense to use a Roth 401(k) or a Traditional 401(k) to save for retirement? Do you know the difference between the two? This article will hopefully clear things up a bit. Financial Well-Being: We all want it. How do we get it? – One of the first steps a business owner can take to promote financial well-being of their employees is to create a program that will reinforce an overall financial well-being strategy. Read on to learn what this program should include. Podcast | it starts with a penny – Learn more about the importance of financial fitness and taking control of your finances on this episode of unsuitable on Rea Radio.